Your uncle Colin is haunted by nightmares of a familiar woman begging him for help. Convinced that he will find answers if only he can remember, he calls on you for help. Now you must set out on a dangerous adventure to find a healer who can restore your uncle's lost memories. But you must hurry - the Darkness is hunting you! Together, you will need to face many trials, solve dozens of puzzles, and ultimately face the dark army threatening the whole world! Will you succeed in time? 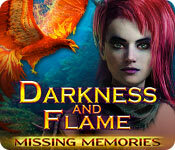 Darkness and Flame: Missing Memories is rated 4.3 out of 5 by 15. Rated 5 out of 5 by denniann2 from a good HO game you have been raised by your uncle and go on an adventure looking for the reason you have a mark on your arm that a flaming bird comes out of. you discovered an egg and when you touched it it sent the bird into you. it protects you but you have questions about it. you have an uncle that helps you. you run into other people that help you as well. i played on custom and there is a hint system. Rated 5 out of 5 by katnap123 from I wouldn't mind a tattoo like that one! What a fun story! 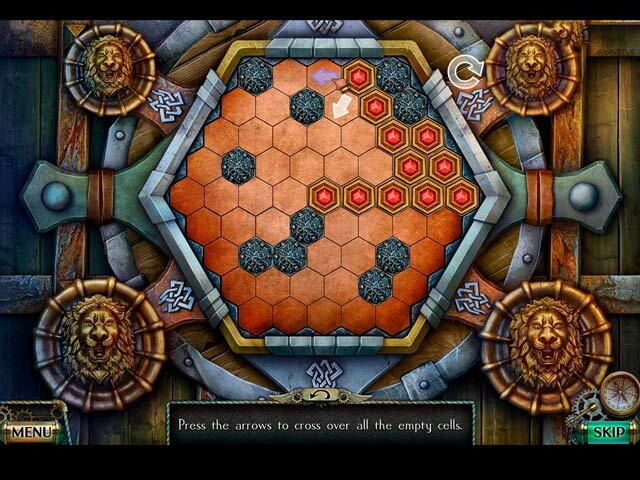 This is a continuation of the first game: Born of Fire, with Alice and her uncle Colin. The plot and characters stand out more than anything else about this game. The puzzles are varied and not difficult. The HOS are interractive silhouettes. Alice should have held on to some of her basic tools because she sometimes could have used them again, and there was yet another broken zipper that needed a pull, but there was also originality, and I was left with wanting more. Everything flowed so well, and it didn't feel like the best part of the game was during the demo portion. I had a blast playing this one. The only other drawback I can think of is that the game could have been a little longer, but I never wanted to stop playing, and time just flew by, so maybe it was longer than I realized. I'm looking forward to playing the next installment of Alice and Colin in The Dark Side. I think I'll even get the CE. Rated 5 out of 5 by Janekar from WOW! Fantastic game! Tired of rummaging around in decrepit hotels, gloomy old mansions or dark scary caves? This game is for you! Lots of light and color and no ghosts! My most important criterion for a good game is that I want to keep playing it. I didn't want this one to end. This has some of the best animation graphics I've ever seen in a game. Reminiscent of the movie "Mad Max". Great, great story line too. Kudos to the developers. I wish I had bought the CE. Rated 5 out of 5 by be_positive from Good game :) I played "born of fire" (bought on google play CE), so I'm familiar with the story. It's not quite what I expected, but didn't affect having fun playing this game :). Liked mini games very much. Game(s) would be boring otherwise. I saw in comments (for different games) that gamers complain how easy mini games was. It's not original and bla, bla, bla. And often people compare situations in games with real life. Like "that's not possible" or like that..... it's a game :). It seems like gamers forgotten enjoy in games. What's with that?? Rated 5 out of 5 by Ashleaves from More adventure with Alice! I loved the first Darkness & Flame, and the sequel did NOT disappoint. Fivebn games are my favorite because the HOS are seek and use. There was only one HOS which was find all the objects in a list. This game was a lot of fun to play. Great graphics and story-line. There is a Custom game play option where you can set skip and hint to 5 seconds, but I didn't need to use them. Interactive map that lets you know where there is an active task and allows you to jump the the location. Wasn't overly challenging. Just a fun game to play. Rated 5 out of 5 by shady62minx from I had fun Thought this game was worth the buy, loved the story line and the adventure! Hope to see more in the future! Rated 5 out of 5 by MaryM1980 from I played the beta for this game and loved it! I really enjoyed playing this game, so much, in fact, I went right out and got the earlier one. It was very fun, and the puzzles were a good level of difficulty. I would recommend this game to anyone! Rated 5 out of 5 by charlene_lane from FULL ON ADVENTURE WITH COLIN AND ALICE REVIEW FROM COMPLETED GAME AND BONUS I had an amazing adventure with this game. Honestly fishies, don't let this one pass you by. There is: * Voiceovers (with dialogue); * Casual, Advanced, Hard and Custom modes of play; * Interactive map; * Diary. The graphics are spectacular - well defined, crisp and easy on the eye. The devs put a lot of effort in this game and it shows. I loved roaming around everywhere and checking everything out. The music is orchestral and very beautiful. I had it on loud all throughout the game. 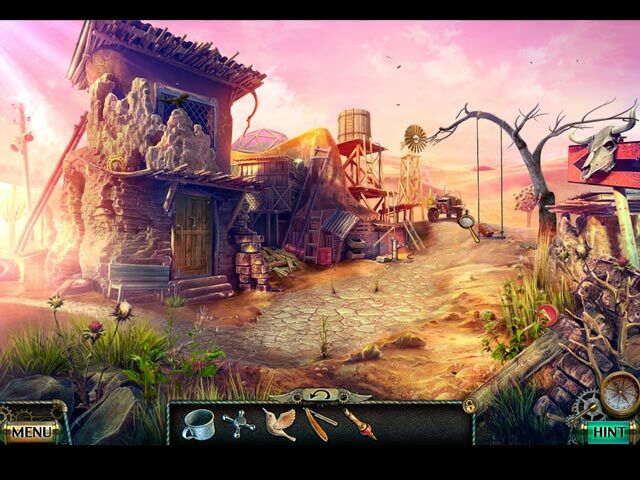 The hidden object games are highly interactive silhouette. You find one item to use to find another item, etc. You will do each HOP once. These were fun to do and there are also little mini-games in them as well. Each one takes around 5 minutes or so. I didn't use the interactive during the game, but had a play around afterwards and it worked well. There are a great variety of mini-games to play and I loved them all. Some don't take long to do at all, while others I spent some time on. You know the ones - you've got to get them in the right order and/or colour. There was my old nemesis - putting the clock numbers back in their right place. That one took me ages! For the first time ever I was able to turn off the morphing and collection items so that I could find them myself without the hand coming over it. What can say - I was in heaven. I played in Custom mode and turned everything off as I wanted the challenge and I got what I asked for. So thank you devs. So do you get the CE or SE? The bonus is about Steve and Kiara which is separate to the main game. In the CE there are 30 morphing objects to find, 7 signs, 8 scorpions, 8 dogs, 7 pinecones and 8 scrolls to find. 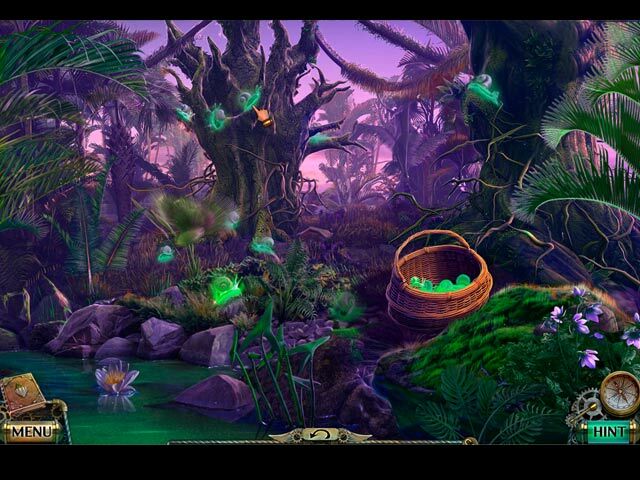 There are also 12 mushrooms to find in the bonus game. The morphing objects were a lot harder to find as some blended well into the scenery. There is also all the usual bling bling like wallpapers, etc that we like. Overall, an action packed adventure game with plenty to do in each scene and you will never be bored or frustrated. Happy playing fishies, this is a gem. Can you win the battle between Darkness and Flame?